You'll be £25.00 closer to your next £10.00 credit when you purchase Gaiseric. What's this? 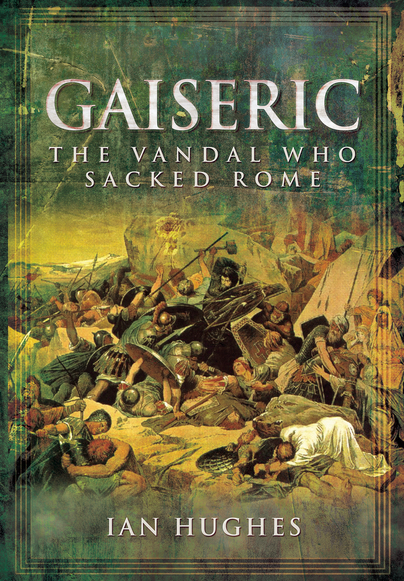 While Gaiseric has not become a household name like other 'barbarian' leaders such as Attila or Genghis Khan, his sack of Rome in AD455 has made his tribe, the Vandals, synonymous with mindless destruction. Gaiseric, however, was no moronic thug, proving himself a highly skilful political and military leader and was one of the dominant forces in Western Mediterranean region for almost half a century. The book starts with a concise history of the Vandals before Gaiseric's reign and analyses the tactics and weaponry with which they carved a path across the Western Roman Empire to Spain. It was in Spain that Gaiseric became their king and he that led the Vandals across the straits of Gibraltar to seize a new home in North Africa, depriving Rome of one of its most important remaining provinces and a key source of grain. Roman attempts at reconquest were defeated and the Balearic Islands, Sicily, Corsica and Sardinia were all added to Gaiseric's kingdom. His son, Huneric, was even betrothed to Eudoxia, daughter of the Emperor Valentinian III and it was her appeal for help after her father's murder that led Gaiseric to invade and sack Rome. He took Eudoxia and the other imperial ladies back to Africa with him, subsequently defeating further attempts by the Eastern Roman Empire to recapture the vital North African territory. Ian Hughes' anaylsis of the Gaiseric as king and general reveals him as the barbarian who did more than anyone else to bring down the Western Roman Empire, but also as a great leader in his own right and one of the most significant men of his age. ...in Gaiseric, Hughes has given us one of the best accounts of the final age of the Western Empire, well worth a read by anyone with even the slightest interest in the subject.